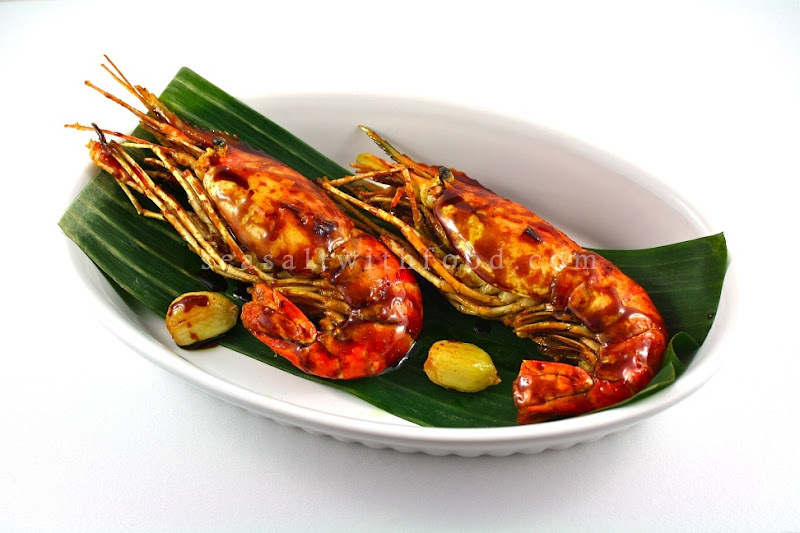 Marinate the prawns with turmeric for about 25 minutes. Heat the oil in a large wok or skillet over a low heat. Cook the garlic until fragrant and translucent. Remove the garlic and set aside. With the same wok or skillet, turn the heat on high. Fry the prawns in few batches until cooked. 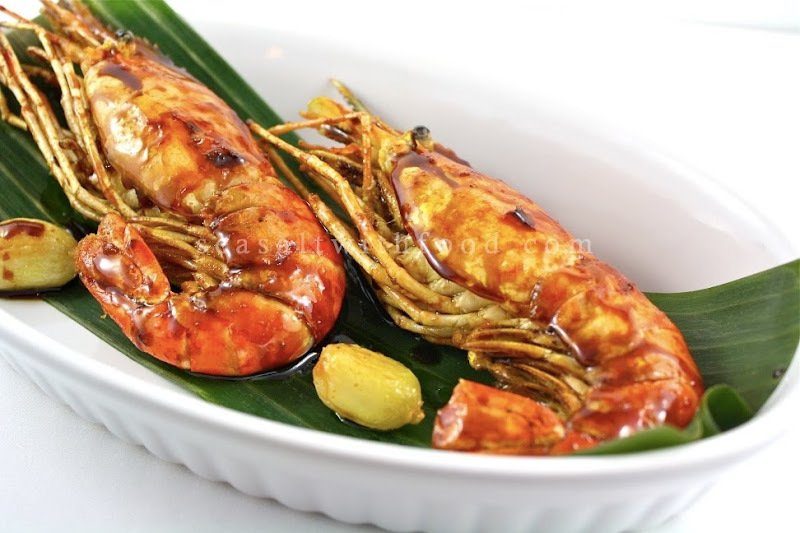 Remove the prawns and set aside. Switch off the heat. Mix in the sweet soy sauce, garlic and a pinch of sea salt or to taste. Return the wok or skillet to moderate heat and add in the prawns. Stir until all the prawns are coated with sweet soy sauce, about 1 minute. 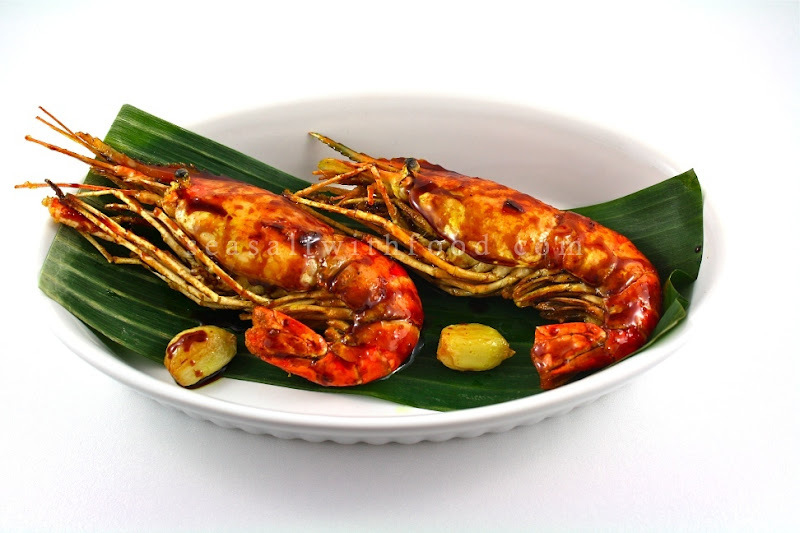 Transfer the prawns to a serving plate and serve immediately.